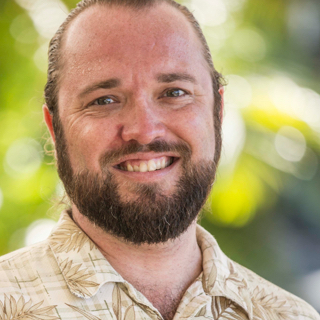 John Bendon is a leader in Hawaii in the fields of green building and energy efficiency. Growing up on Maui, John has a passion for the people and environment of Hawaii and is proud to work in a field that provides a positive impact every day. John and Green Building Hawaii have successfully accomplished a number of notable firsts including LEED consulting for Hawaii’s first LEED EBOM Resort (Hyatt Regency Maui), Maui’s first LEED NC building, and Hawaii’s first LEED Homes project. John is proud to be able to transfer his knowledge and expertise to the classroom and has taught green building classes to a wide range of audiences across Hawaii, the U.S. mainland, and internationally. John holds a Master’s Degree in Real Estate and Construction Management from the University of Denver, and holds designations such as LEED Accredited Professional and Certified Energy Manager (CEM). 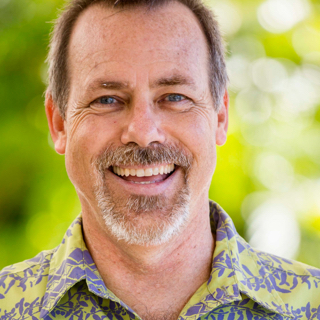 John previously served as the Vice Chair of the US Green Building Council – Hawaii Chapter and currently is president of the board for Carden Academy of Maui. Along with his work, John loves spending time with his wife and three children and enjoying all the water sports Hawaii has to offer. 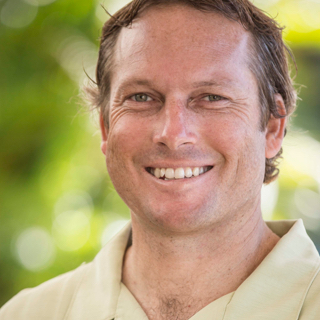 Peter has recently joined Green Building Hawaii full time after several years working as an independent consultant and rater. He has partnered with GBH over the years on numerous projects as team member on several of GBH’s commercial investment grade energy/water audits ranging from a chain of convenience stores to a large multi-building campus for a local K-12 school. He is excited to now be working full time with GBH to help streamline processes and guide our two newly accredited HERS raters in serving our local builder community as this system becomes more established in Hawaii. As a Hawaii-born energy professional who has a deep commitment to helping Hawaii move towards a more sustainable future, Peter prides himself on helping move the industry in a direction that will ensure a positive future for Hawaii. He also comes from a broad business background and has operated several small businesses here locally since 1992. This has given him a unique perspective on the challenges builders in Hawaii face in trying to make their buildings ‘green’ and ‘sustainable’ while still keeping them affordable. Peter is a RESNET accredited Home Energy Rater (HERS) as well as a LEED-Homes accredited Green Rater. He has worked in the green building field since 2009, and has tested and rated over 500 homes for various programs including LEED-Homes, HERS, and EnergyStar New Homes for many of the major developers on Oahu. He has worked with many local companies such as Gentry Homes, LendLease, DR Horton, Hunt Development, MOSS Construction, Coastal Construction, Castle and Cooke as well as many custom home builders and trades. With years of experience walking job sites, he is able to talk in building terms relevant to construction professionals to assist them in understanding the nuances and requirements for the various green building programs. Austin is the lead energy auditor for Green Building Hawaii and a graduate of the University of Hawaii-Maui College (UHMC). He is one of two Certified Building Commissioning Professionals (CBCP) in the state and is working towards his Certified Energy Auditor (CEA) certification, soon to become the only CEA in the County of Maui. Both certifications are through the well-respected Association of Energy Engineers (AEE). He has his LEED Green Associate accreditation and has also recently become the newest accredited RESNET® Home Energy Rating System (HERS) rater for homes. Austin has also worked as an instructor for the Sustainable Living Institute of Maui (SLIM) / High Technology Development Corporation (HTDC) INNOVATE Hawaii’s manufacturing energy auditing internship program. This program taught students to audit manufacturing companies and develop recommendations to reduce energy and resource use in local manufacturing business. During Austin’s employment with Green Building Hawaii, he has performed financial grade energy audits on over 200 hundred buildings covering more than 3 million square feet of space. He has managed the installation of over 35,000 lamps in 20 different facilities and worked with many interns in green training programs. Working with local demand side management entity Hawaii Energy, Austin has also processed rebates on our customer’s behalf putting over $200,000 back into their pockets.